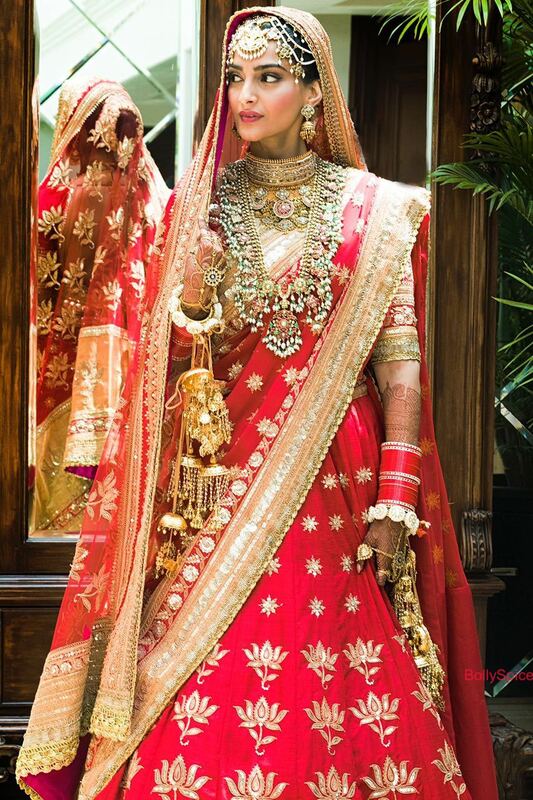 We have your first look at Sonam Kapoor as a bride and of course she looks absolutely gorgeous. Sonam is marrying her longtime prince charming Anand Ahuja at a lavish ceremony in Mumbai today! 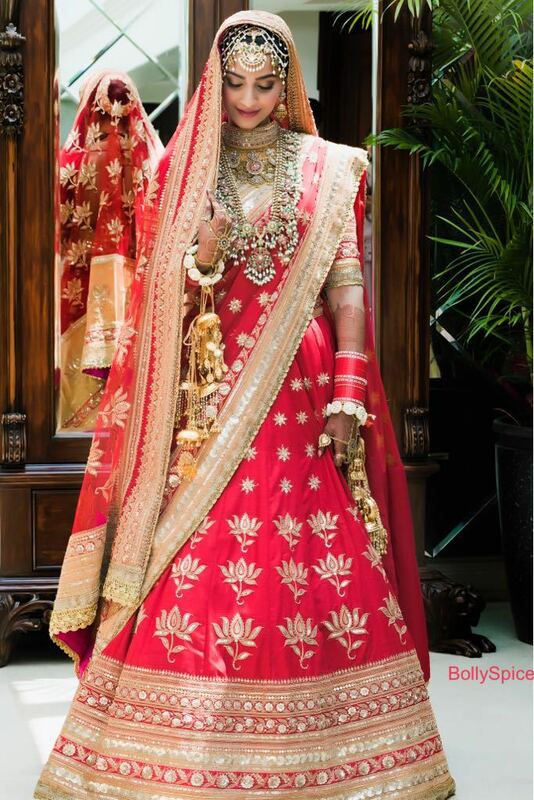 Wearing a tradition bridal outfit designed by Anuradha Vakil, Sonam looks ecstatically happy! We will have much more but since we know you are just wanting to see the pictures we will say no more except could she look any more beautiful? We don’t think so! We wish the couple every happiness and many blessings!